3 Reasons to Keep Your Relationship Matters Away From Female Friends | Do You Agree? They say two is a company, three is a crowd. When you start talking to your friends about your relationship matters, things could get even more complicated. This is not a general rule though. Sometimes, a problem shared is half solved. While this editorial is written from a woman’s perspective, the wisdom herewith can applicable to both men and women. What is the first thing you do when you get into an argument with your man? For most women- old and young- the answer would be, “I call or send a message to my female friends immediately. When that heavy feeling of anger takes over, you feel like you need to let it out, right? You would want to speak with someone with whom you could be 100% real. Someone who you can whine and complain to, but most importantly, someone who would be on your side. And when it’s smooth sailing- especially when it’s a new relationship, you want to tell your girlfriends about it because you want their approval; you want them to like him, and you want them to hail your choice of man. Whether it’s your best friend, mom, or sister, you get peace of mind from being able to vent to them about an argument or lack of one that happened with your man. Talking it out with them helps you get your head on straight and gain more clarity before going back to your guy and then actually dealing with the situation. But really, how much is that actually helping you and your relationship with him? Sure, the girls want what’s best for us but there are some reasons why you might want to think twice before dishing the details to them again and these reasons are very important. Every woman has a different outlook on men and relationships through their own individual experiences, but your outlook is the only one that matters. More so, your girl’s opinion might sway you in a different direction than you would’ve gone if you hadn’t asked for her input because women we’re closest to always influence our decisions. There is also reason you shouldn’t involve your family members in your relationship- be it a fresh relationship or a growing one- unless it gets way beyond your hands, then you could bring them in. 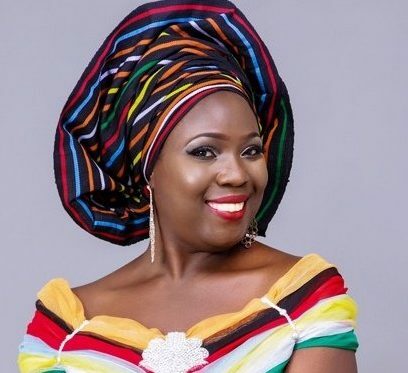 READ ALSO:Omowunmi Akinnifesi Shares Candid Opinion About Men And Relationships. Do You Agree With Her? The fact of the matter is, people get into arguments, people mess up, and sometimes ,your partner will let you down. You have to accept that as part of life. Your partner is not going to be perfect all the time. It’s impossible for things to be peachy ALL of the time but when you go airing your dirty linen to your sister and/or your mom, they’re likely going to look at the situation from your side, because they’re your family and they never want to see you hurt, no matter whose ‘fault’ it is; their opinions will almost always be biased. In addition to this, I’ve always found mom-advice to be a little bit off-base when it comes to dating. Not because she doesn’t know what she’s talking about, but because if she’s in a happy marriage where she’s been playing mom and wife for the last 40 years, then the way she interacts with her husband is going to be very different from the way you interact with your boyfriend. You’ve been dating your man only for a year, and she’s been with her husband for 40 years, so don’t take her word for it when she tells you to do something nice for your boyfriend like cooking him a five star dinner when he’s being a little distant. The relationship dynamics aren’t the same, and therefore her advice isn’t going to get you the best results. Men of those days are quite different from the babies we have now. Yes I said babies because that’s what the men of these days are. But you could try though…you just might be lucky. 1. Your mind will start to feel cluttered. Once you get into the habit of telling your girlfriends everything, it can be a hard one to break. Pretty soon you realize that it becomes more like “word vomit” anything he does or says that causes a shadow of a doubt in your mind, or that slightly bothers you, you go and tell them. You start talking to all of your girlfriends about your relationship, and pretty soon, you have ten different opinions on one situation, when the only opinion that should matter, is yours! When you tell others the intimate details of your love life, you’re giving them permission to influence you. Their reactions and words influence you, and when you start getting a million different perspectives, you can’t even hear your own inner voice anymore. You stop going with your gut and intuition, and you start depending on other people’s reasoning and advice. All this will do is create drama in your mind and in your relationship, and you’ll likely end up doing something you regret because someone else thought you should do it. Then a month later, when you’ve been detoxed of all the other voices cluttering your mind, you’ll probably realize that you did something you wished you hadn’t. Not only is it disrespectful to your guy, but it’s disrespectful to your relationship. A woman who took pride in her relationship wouldn’t go around telling everyone the details of an argument she had that morning. It lowers the value of your relationship. Your relationship is something precious that you should protect and honour, not a hot topic of entertainment. It’s also disrespectful to him. Do you see him talking to his buddies and telling them the intimate details of your conversations? Most guys don’t do this. They keep things to themselves for the most part. They don’t go around blabbing about their fight from last night. How would he feel if he knew you were telling everyone (or even just one friend) about the personal stuff between you two? It’s the ultimate disrespect to a guy. I would even take it so far as to say that some look at this as a form of betrayal. This one is a biggie. It prevents you from becoming intimate with him! Believe me, I can totally empathize getting all worked up about something and wanting to go to a girlfriend so you can explode and let it all out. But by doing that, not only are you hurting your relationship in other ways, you’re also stopping yourself from becoming closer to him. And isn’t that the reason why you’re upset in the first place? You’re feeling detached from him in some way, angry or annoyed with him, or uncomfortable about something, and you want to make that better. It takes some emotional bravery and vulnerability to go to your guy and tell him if something is bothering you, and let him in on the inner details of your mind. But instead of telling him, you tell your girlfriends, your relationship isn’t benefiting in any way. And in the long run, it will prevent you from learning how to better your communication skills for future problems. READ ALSO:This Nigerian Man Touches On A Delicate Issue As Regards Relationships And Marriages. Do You Think His Opinion Is True? The moral of the story is that if you often find yourself discussing issues within your relationship with anyone other than your partner, try keeping things private for a few weeks and see if your relationship improves in any way. I strongly believe it will. Give it a trial. Keep your friends and family out of it and you will see it lasting a long while.Do you agree with her?